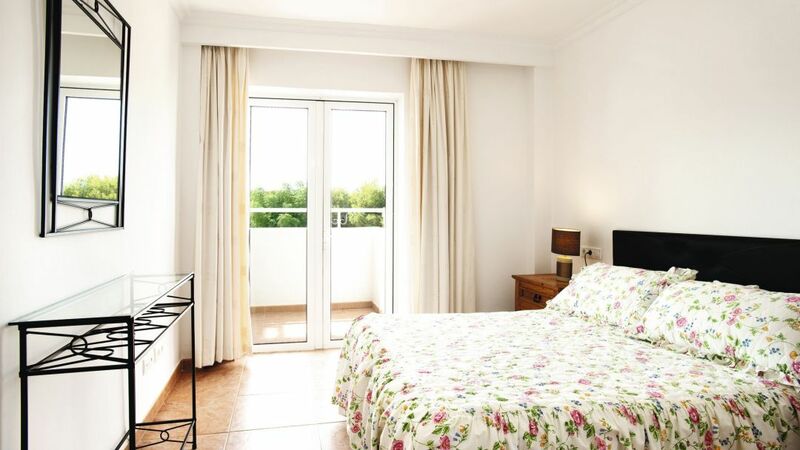 The Hamilton Court Apartments are right next to the beach, just across the tree lined promenade. The resort is in a natural setting with a long beach and hillside backdrop. 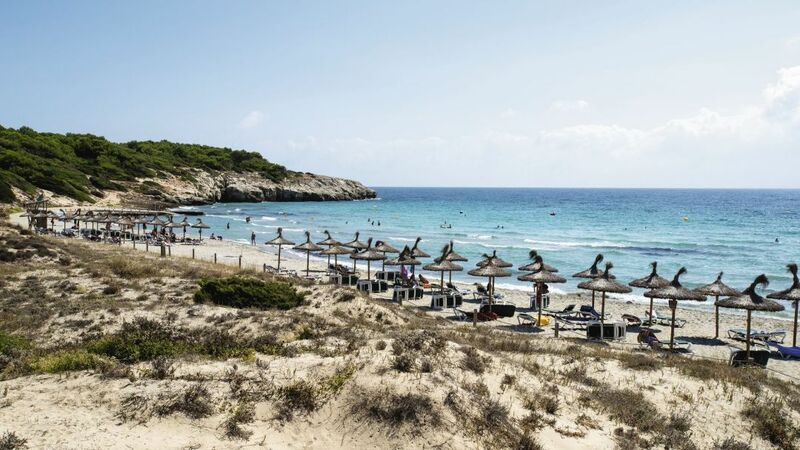 Es Migjorn Gran is the nearest village, found only two miles away.With its own swimming pool, a restaurant and a bar, you've got all you'll need for a relaxing holiday in Menorca. 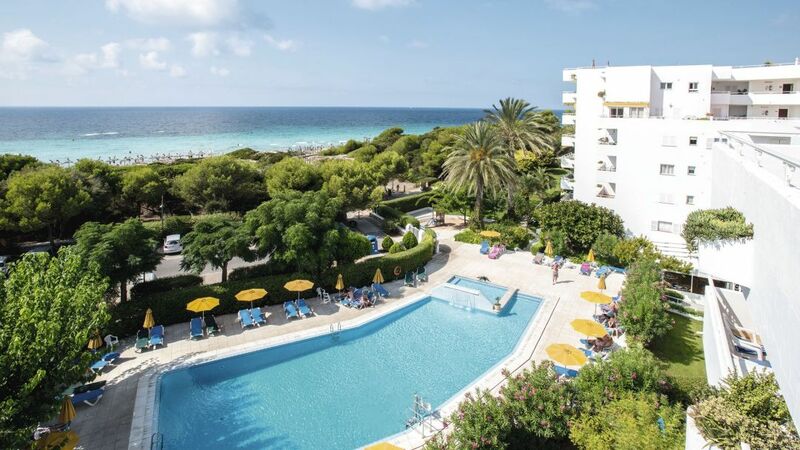 Whether you want to relax on the golden sands of the Menorca coastline or simply soak up the Spanish rays next to the pool, you'll feel your stresses ebbing away in no time. 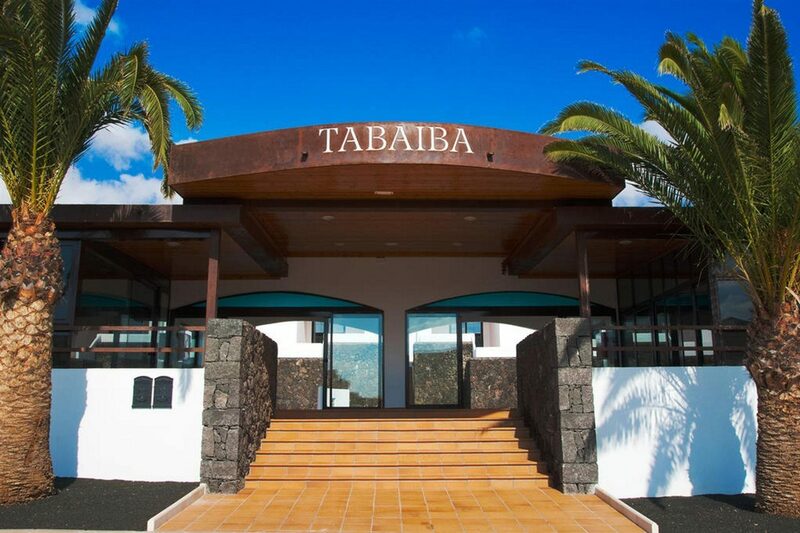 Set within the beautiful resort of Santo Tomas, and surrounded by lush tropical gardens, families and couples alike will be sure to have an unforgettable break. 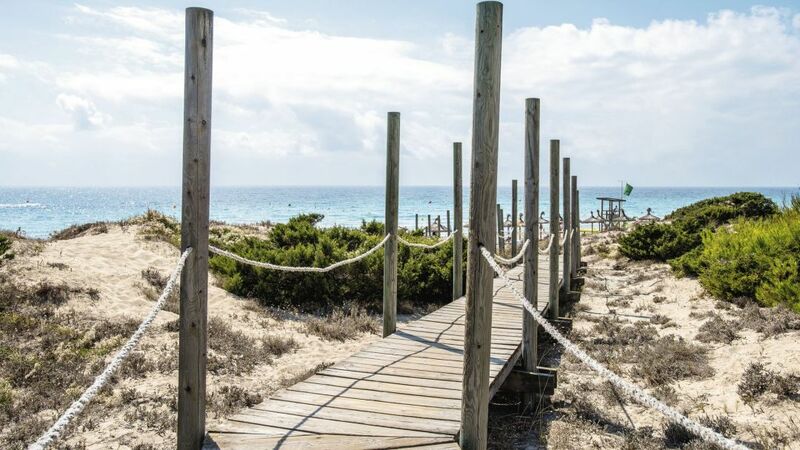 Take advantage of the nearby tennis courts and minigolf course, or simply enjoy lazy days on your welldeserved Menorca getaway. 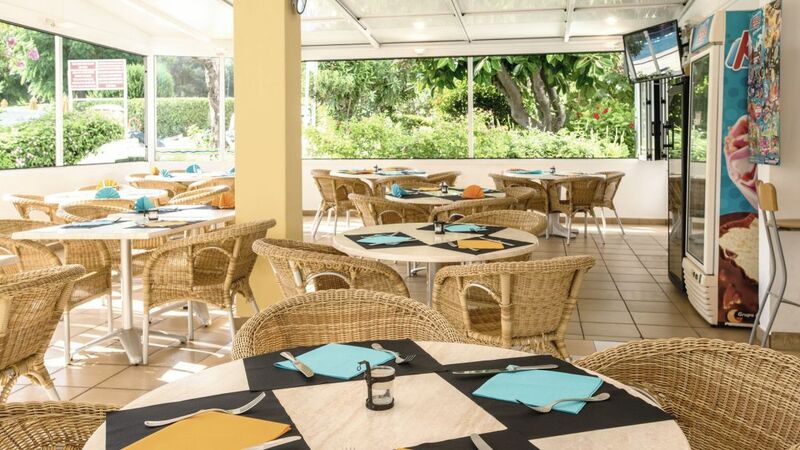 An outdoor swimming pool, children’s swimming pool, sun loungers and parasols, restaurant, massage treatments, billiards, playground, mini-market, garden, Wi-Fi access, reception, room service, car hire, laundry service, currency exchange, and parking. This Santo Tomas hotel has a total of 85 bright and spacious guest rooms, comprising One Bedroom Apartments, Two Bedroom Apartments, and Three Bedroom Apartments. All apartments feature Wi-Fi access, balcony or terrace, bathroom with bathtub or shower, double or twin beds, sofa bed, satellite TV, safe, and kitchen with a stove, microwave, fridge, and coffee/tea making facilities. The hotel has a restaurant and a bar. 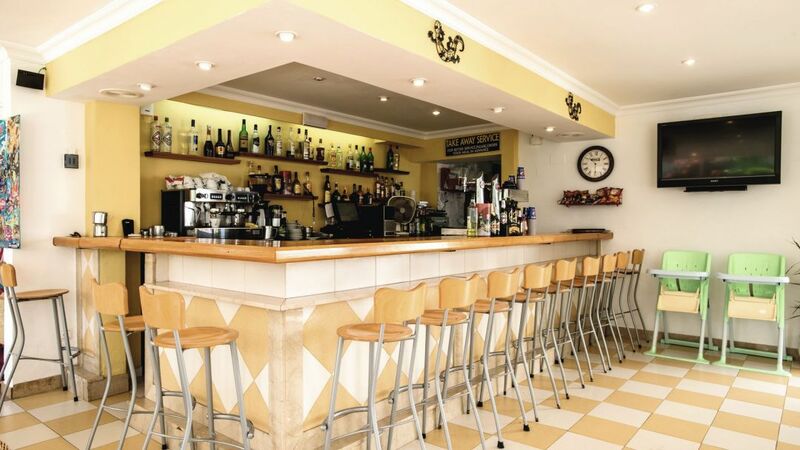 The restaurant serves a wide variety of food from shellfish to pizza. Meals can be eaten in the restaurant or taken away to enjoy in the comfort of your own room or watching the gentle waves lap the shoreline on the beach.